MCC Answer is managed by the Information Center. It provides an online source for answers to specific questions. Live help is available during normal business hours. is conveniently located inside Student Life (PCC1240) on the main floor of the Prahl College Center. The VRC is designed to serve as a one-stop shop for Veterans, military spouses, dependents and military affiliates to provide a wide range of Veteran benefits and opportunities. Veterans can begin their educational journey by applying for admission to the college, gaining assistance with their FASFA, applying for their VA educational benefits, and more; all with the assistance from a trained and knowledgeable VRC staff member. Additionally, the VRC has also been designed to serve as a social gathering spot. Veterans, current military, spouses and dependents visit the VRC to watch movies, study, and converse with others. Career and job search assistance. Assistance navigating and applying for Veteran benefits through the use of www.ebenefits.va.gov. Computerized information monitors in halls and lobbies of the main campus and extension centers which announces events, club news, game times, deadlines, financial aid and registration information. The MCC4Me portal is the starting point for all current students to access all online resources and communications, including WebAdvisor, WebMail, Blackboard, and communications from Student Services and Student Life. The MCC4Me portal will be unique for each student. You will receive communications and information meant directly for you. Watch for the new MCC4Me button in the near future. Search for classes, register, pay bills, check grades and much more all online. Visit www.mcc.edu and follow the link through this button. See WebAdvisor instructions in the Getting Started section of this catalog. Mott Community College believes that appropriate service-learning activities can enhance student learning, the performance of our community partners and overall community quality of life. Service-learning is defined as a teaching and learning strategy that integrates meaningful community service with instruction and reflection to enrich the learning experience, teach civic responsibility and strengthen communities. Working with a variety of community partners, faculty and students from across disciplines currently utilize service learning as a teaching and learning strategy that benefits students, faculty and the campus as a whole. Mott Community College is a leader in developing a skilled, competitive workforce. Mott Community College's Workforce and Career Development Division is the place to begin your search for job training, employee assistance, both academic and non-academic supportive services. 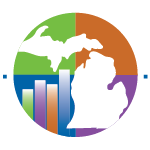 MCC is a leader in "Educating and Training a Workforce that is ready to embrace the philosophy of life-long learning and ready to meet the needs of the regional economy." MCC's Workforce Education Center (WEC) is a full-service, one-stop center that creates a seamless provision of services as well as operational efficiency while utilizing a range of educational tools, training techniques, and software programs designed to effectively assess each participant's career and work readiness skill levels. Participants receive assistance in developing effective resumes, selecting jobs that fit their goals and skill level, developing sound workplace ethics, as well as improving upon their communication skills. A major component of the Center is the college career guidance support services. A range of services exist for any individual who wants to enter, re-enter, or advance within the workforce as well as enter college. Career Resources - a large collection of DVD's, videos, magazines, textbooks, and computers with internet access. Resume Development - creating a tool that will give you an edge on the competition. Interviewing Skills - develop techniques that will give you an edge on the competition, communicate with employers and secure the job. Job Search Assistance - Using the internet, print ads, the eRecruiting Network (MCC's employment site), employer contacts and Job Fairs. Career and Skill Assistance - we'll help you find the best career pathway for you. Job Placement - finding the job that is right for you. A Wide Array of Grant Funded and Specialized Training - as demanded by the economy. Visit our location to get an updated list of programs and start dates. IWT (Incumbent Worker Training) - providing training to help with skills upgrades to increase career opportunities. All catalogs © 2019 Mott Community College. Powered by the Acalog™ Academic Catalog Management System™ (ACMS™).